The KinectMath teaching tool was developed by a few students at UW Bothell that worked closely with a professor at the school. The application aims to make math more approachable to students who may be more proficient as visual or hands-on learners. 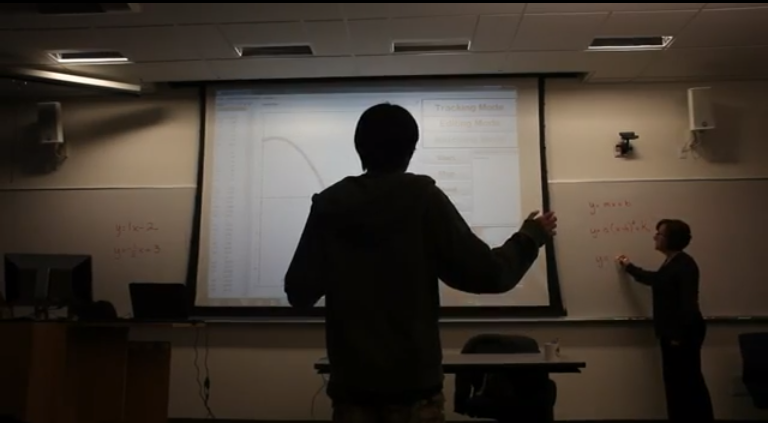 The video demonstrates how a student can use gestures in order to map the points in a graph relating to time vs distance which is plotted in real-time. Download KinectMath right now if you're interested in trying it out for yourself! Documentation is included with installation instructions.